James Wells is another shining example of the role of the Father McKenna Center in the lives of men struggling with homelessness. 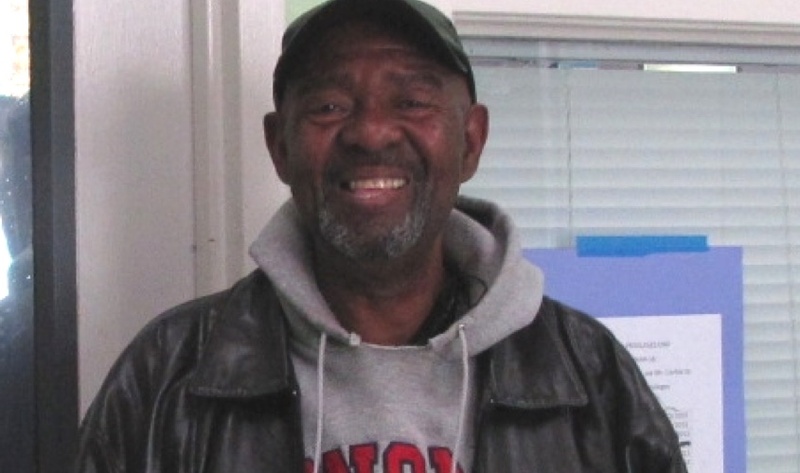 After many years of struggling with homelessness, James has a new home – an apartment of his own in a senior citizen building near So Others Might Eat (SOME) on O Street, NW. James is from Augusta, GA. He’d been married, raised his family and had worked blue collar jobs for a lifetime. And then he was divorced and homeless. He was able to find housing and was there for a couple of years. He ran afoul of the law and was jailed for six months because he had no money for bail. During his incarceration he lost his apartment and all his possessions. He began walking to South Carolina, and was picked up during a rain storm by a motorist who asked, “where you going?” “Columbia, South Carolina,” James replied. But when they reached Columbia the driver was going on, and James asked where he was going. “Maryland” was the answer. “Can you take me to DC?” James asked. The man not only brought him to DC, but provided meals and cigarettes along the way, and then offered advice as to where to go in DC. James ended up at the Central Union Mission in August 2014. And from there (the former Gales School at 65 Massachusetts Ave, NW) it is just a three block walk to the Father McKenna Center! All because he listened when Cortez spoke!